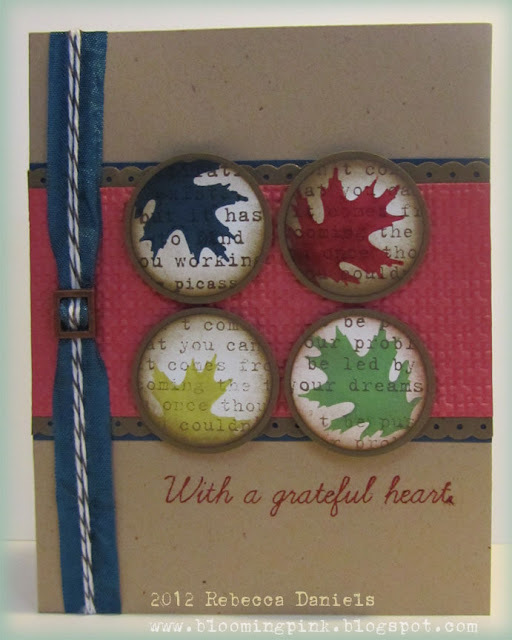 I love those colorful leaves and that ribbon/twine treatment is fabulous! Thanks for joining us at FMS! What great little leaves!! Super use of the sketch. Glad you joined us this week at FMS! This is simply gorgeous.I really like those leaf buttons. The leaves stamped on text background are so awesome! And I really like the colors you've chosen. Thanks for joining us at Freshly Made Sketches! I just love this...your colors are so fun! Is the text background a stamp or paper? I love that too! Thanks for sharing this with us at FMS!